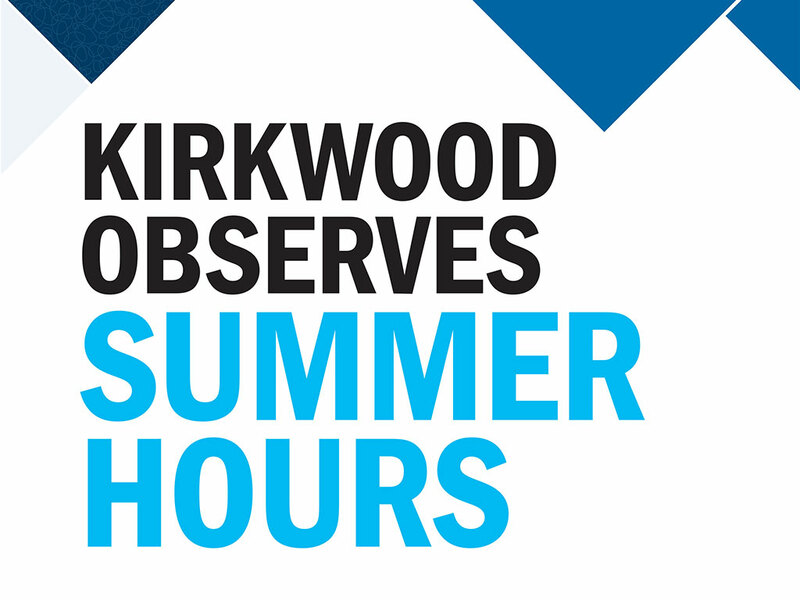 Monday – Thursday, 8 a.m. to 5 p.m.
Summer hours will be observed by all departments at every Kirkwood location with the exception of The Hotel at Kirkwood Center. Campus Security will continue to be available 24-hours a day. In addition, campus locations will remain open where classes and other business activities are scheduled.